China has long been known to try and create its own version of specific technologies. Repeatedly, the country has tried to create its own search engine and then its own computer operating system. Despite none of these efforts catching on, it’s not enough to put China off from trying it one more time; this is the country’s own version of the bitcoin. China’s Central Bank has announced that it is now working to create its ow exclusive, self-distributed digital currency, which they plan to release as soon as possible. According to the bank, the additional of its exclusive digital currency will help lower the cost of production involved in making physical currency. This includes the cost of making and circulating paper money. It also aids in the development of new additional infrastructure and payment systems and lower the incidence of money laundering and tax evasion. Unlike Bitcoin, their proposed digital currency will NOT be a cryptocurrency. Instead, it will be used so that authorities will be better able to monitor and track the funds, and it will still be closely tied to already established financial institutions. Despite getting the go-signal, and the fact that they nation is pushing forward with the development of this digital currency, there are numerous technical issues and obstacles ahead, especially when it comes potential applications. To date, the Central Bank has dedicated a team to research digital currencies since 2014. 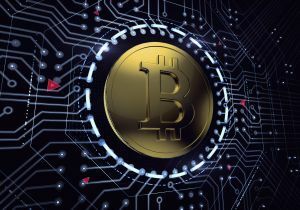 Interestingly, the value of Bitcoin also fell significantly after one of its major developers, Mike Hearn came to his “inescapable conclusion” that Bitcoin has failed. Ironically, the problem seems to stem from China, where Chinese Bitcoin miners behind the Great Firewall are slowing the transaction process down and thus makes the entire system less inefficient.